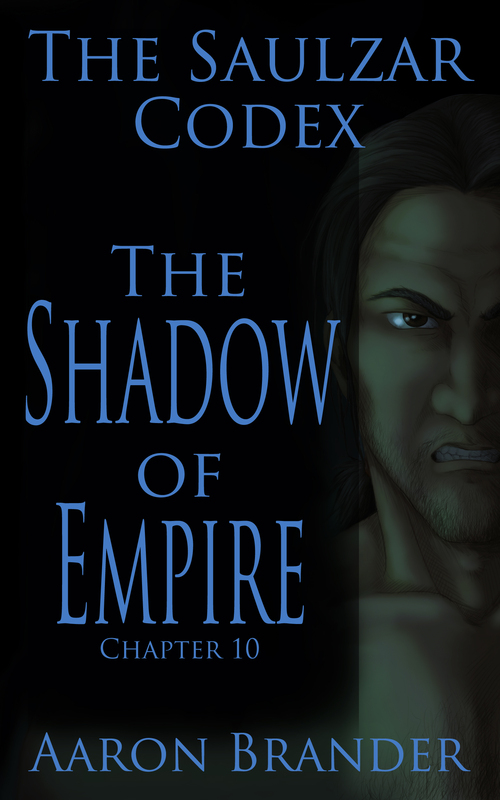 I’m happy to announce that The Shadow of Empire is available! It is the ninth chapter in the Saulzar Codex – a series of short stories focusing on Saulzar, a fierce warrior battling to overcome his own past. You can learn more about the project here. I’d love for you to stop by and pick it up. It’s a short story at 9,000 words and is priced at $0.99. The frozen wind whipped across the tundra, the snow beaten to a froth in the air, obscuring the herd of reindeer from his vision. He shut his eyes against the onslaught. When the wind died and the snow cleared, the midnight sun illuminated the herd, still moving away from him. He had followed them for the better part of a week. He would show himself and walk towards them, arms stretched wide and open. The reindeer would turn and look, then continue their migration. It was a delicate dance as Saulzar slowly persuaded the thousand-strong herd to move west. He stepped out from behind his boulder and walked with confidence towards the herd again. A large buck turned towards him and huffed, his front foot stamped. Saulzar did not slow. He spread his arms wide. The wind stirred, and the snow bear pelt that he wore billowed out behind him. His eyes burned with a savage intellect as they focused on the buck. The buck stamped again and turned away. It moved south, away from the cliffs. Saulzar gestured with his left arm. From beneath the snow, a wolf stood. It shook off the snow that had buried it, revealing a tawny hide. Dane loped forward along the edge of the herd, sending the reindeer skittering back north. Saulzar gestured with his right arm, and Mane revealed himself from his hiding place in the snow. The reindeer were alarmed. The bucks in the herd tried to move them all south once again, but three more wolves stood. To the north, another three wolves. They closed in on the pack, all the while Saulzar walked slowly forward, the noose tightening on the reindeer. They were thousands against seven, but the ghostly appearance of the wolves had unnerved them. They were unthinking prey, surrounded by deadly predators, yet did not consider using their weight and numbers to run over the wolves. It was the big buck that turned and stood its ground. It stared down Saulzar, fear and anger warred in its dark eyes. Bellows of vapor puffed from its nostrils. It grunted and stamped the ground. Saulzar stalked on, flung the snow bear cape back from his arms to reveal a musculature like corded iron, and roared at the reindeer.